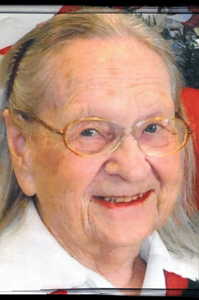 Cleo Camilla (Taylor) Graham, 103, of Webster City, died on Sunday November 25, 2018, attended by her nieces, at the Crestview Nursing and Rehabilitation in Webster City. She was the daughter of Ray and Millie (Fjetland) Taylor, of rural Webster City. She was preceded in death by her parents; husband Ralph Graham; brother Harold Taylor; and an infant son. Survivors include one sister-in-law, Wilma Taylor; and a number of nieces and nephews. A memorial service will be held at a later date.